Kevin Patrick Kane (June 12, 1966 – October 27, 2016) was a public policy analyst who was the founder and president of the conservative and libertarian Pelican Institute for Public Policy, a think tank based in New Orleans, Louisiana. A native of Mineola on Long Island, New York, Kane graduated in 1984 from Paul D. Schreiber High School in Port Washington, New York. He earned a Bachelor of Arts in English from Tulane University in New Orleans, at which he was the captain and president of the rugby team. In 1993, Kane graduated from the Loyola University Law School in New Orleans. He worked earlier in his career in Mobile, Alabama, and in New York City. After Hurricane Katrina, Kane returned to New Orleans to establish in 2008 the Pelican Institute, which offered conservative policy solutions to aid in recovery efforts from the massive storm. Under his leadership, Pelican became a pioneer for free market policies and for school choice. 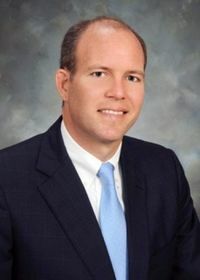 Quin Hillyer, a New Orleans-born writer and Republican former congressional candidate in Alabama, called Kane "a thoughtful, soft-spoken, highly intelligent and principled man who loved New Orleans deeply. ... What really interested him was the possibility of finding solutions that could draw support across partisan and ideological lines." Hillyer noted that Kane was a strong advocate for charter schools and criminal sentencing reform. Kane was an ad hoc ambassador for his adopted city and its music and culture whenever he attended national conferences and visiting conventions. He served on the board of the Choice Foundation and the Center for Development and Learning and was a fellow at the Loyola Institute of Politics. He was also affiliated with Rotary International and the Stratford Club. Kane died at a hospice in New Orleans at the age of fifty of gastrointestinal cancer. He was survived by his wife of seventeen years, the former Lesley Ann Vance (born July 16, 1969); his daughters, Margaret Chamberlin "Molly" Kane and Vivian Ruth Kane; his mother, Kate Stowe Kane of Centerport, New York, and brothers, David Kane of Newark, New Jersey, and Tim Kane of Brooklyn, New York. He was preceded in death by his father, Joseph Patrick Kane. A memorial service was held on November 4, 2016, at the St. Charles Avenue Presbyterian Church, of which he was an elder. n recognizing Kane's death, the National Review, founded in 1955 by William F. Buckley, Jr., wrote that the Pelican Institute "was often a one-man shop, but even as Kevin endured sixteen months of cancer with astonishing grace, he made arrangements to keep Pelican going after his own departure. Kevin remained determined that even after his death, his work would help Louisiana’s civil society become as strong as its culture is memorable." Stephen Michael Gele (born April 16, 1968) was named president of the Pelican Institute upon Kane's passing. A New Orleans litigation lawyer, Gele has been affiliated with the institute since its founding. ↑ 1.0 1.1 1.2 New Orleans Times-Picayune (October 28, 2016). Retrieved on June 16, 2017. ↑ 2.0 2.1 2.2 Dennis Persica (October 29, 2017). Kevin Kane, founder of conservative 'think tank' in New Orleans, dies at 50. The Baton Rouge Advocate. ↑ Quin Hilyer and Deroy Murdock (October 31, 2016). Good Citizen Kane: In memory of a New Orleans free-market hero. National Review. Retrieved on July 10, 2017. ↑ Pelican Institute for Public Policy Staff. Pelicaninstitute.org. Retrieved on June 16, 2017. This page was last modified on 9 April 2019, at 11:16.